Special thanks to everyone who joined us yesterday for our Twitter chat on Sustainable Leadership with with the The Walton Sustainability Solutions Initiatives, a program within the Global Institute of Sustainability at Arizona State University. The chat turned out to be one of our liveliest yet! The chat was be co-hosted by professors George Basile, Senior Sustainability Scientist with the Global Institute of Sustainability and Professor of Practice at ASU’s School of Sustainability, and Bruno Sarda, Director of Global Sustainability Operations at Dell and professor and consultant for ASU. After the jump, we've got a storify synopsis of the major questions that we asked and answered during the chat, including as many of your as we had time to answer. Please feel free to keep the conversation going by tweeting your thoughts with the hashtag "#sustleadership". 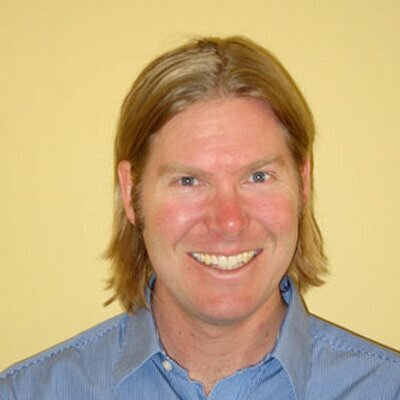 Nick Aster is the founder of TriplePundit. TriplePundit.com has grown to become one of the web's leading sources of news and ideas on how business can be used to make the world a better place. It was acquired in 2017 by 3BLMedia, the leading news distribution and content marketing company focused on niche topics including sustainability, health, energy, education, philanthropy, community and other social and environmental topics. Prior to TriplePundit Nick worked for Mother Jones magazine, successfully re-launching the magazine's online presence. He worked for TreeHugger.com, managing the technical side of the publication for 3 years and has also been an active consultant for individuals and companies entering the world of micro-publishing. He also worked for Gawker Media and Moreover Technologies in the early days of blogging. Nick holds an MBA in sustainable management from the Presidio School of Management and graduated with a BA in History from Washington University in St. Louis.